Washington: Duchess of Sussex Meghan Markle looked stunning in her Givenchy wedding gown, but who knew she secretly paid a tribute to her first date with Prince Harry using her 15 feet long veil? In a sneak peek from the upcoming HBO documentary Queen of the World, Markle revealed the special significance behind a "piece of blue fabric" stitched inside, reported PEOPLE. She said, "Somewhere in here there's a piece of blue fabric that's stitched inside - it was my something blue. It's fabric from the dress that I wore on our first date." 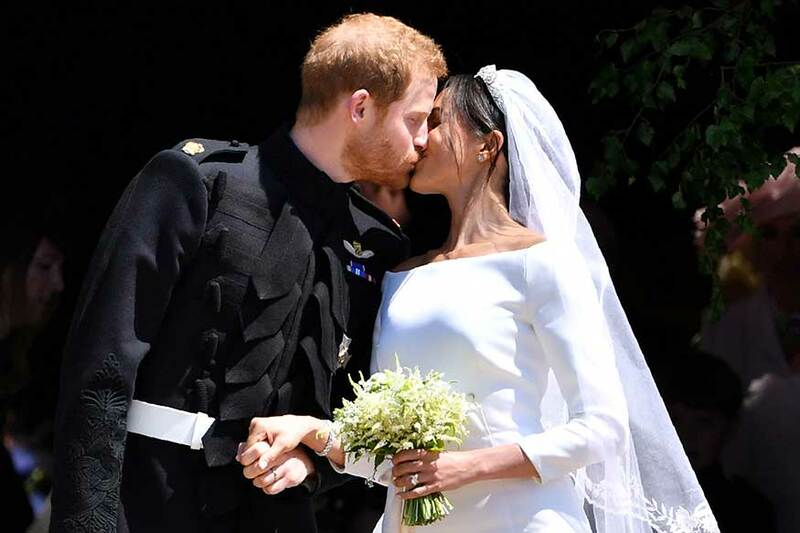 Designed by Clare Waight Keller from French fashion house Givenchy, Markle had worn a boat-necked, pure white silk gown, with a 15 feet veil embroidered with flowers. The veil was made of silk tulle with a trim of hand-embroidered flowers in silk threads and organza. The embroidery took hundreds of hours to complete, with workers washing their hands every 30 minutes to keep the tulle and the threads pristine. Markle's veil was held in place by Queen Mary's diamond bandeau tiara, which was loaned to her by Queen Elizabeth II. Last month, it was reported that Markle is all set to put her wedding gown on display. The former actor had a 'fairytale' wedding with Prince Harry at the Windsor Castle on May 19, with tens of thousands of people lining the route.